The health benefits on eating a diet rich in fats is well publicised. 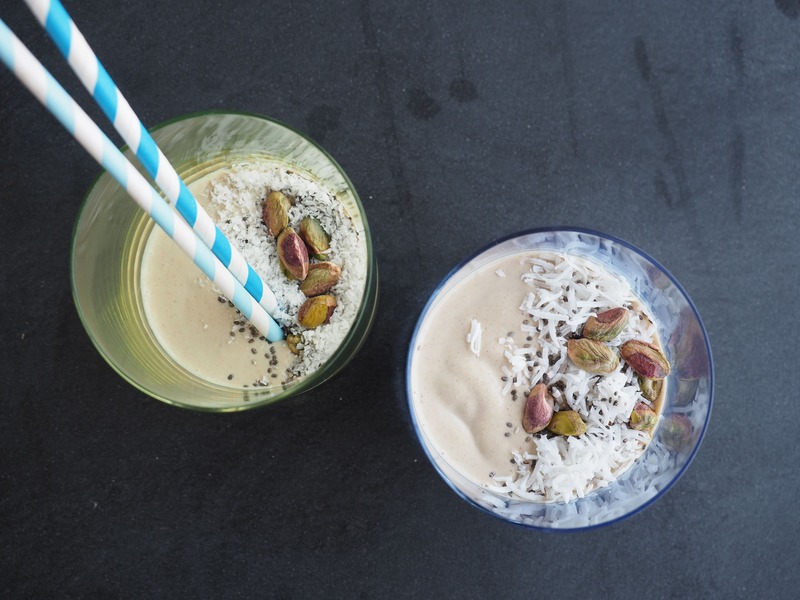 Try this high-fat smoothie recipe to keep you satiated. Simply throw all the ingredients in a blender and process until smooth. I throw in some turmeric butter but usual butter will be absolutely fine. I use maca as a natural energy source, especially around training. It’s been shown to improve stamina, virility and energy in men. Looking for maca – Nature’s Way have powder (great for ice cream and smoothie) or tablets for ease and convenience.